Heidegger's lecture course at the University of Marburg in the summer of 1925, an early version of Being and Time (1927), offers a unique glimpse into the motivations that prompted the writing of this great philosopher's master work and the presuppositions that gave shape to it. The book embarks upon a provisional description of what Heidegger calls "Dasein," the field in which both being and time become manifest. Heidegger analyzes Dasein in its everydayness in a deepening sequence of terms: being-in-the-world, worldhood, and care as the being of Dasein. The course ends by sketching the themes of death and conscience and their relevance to an ontology that makes the phenomenon of time central. 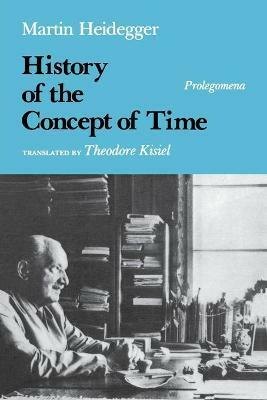 Theodore Kisiel's outstanding translation premits English-speaking readers to appreciate the central importance of this text in the development of Heidegger's thought. The text here translated is that of a course of lectures that Heidegger gave at the University of Marburg during the summer semester 1925. Theodore Kisiel, Professor of Philosophy at Northern Illinois University, is co-author of Phenomenology and the Natural Sciences and translator of Heidegger and the Tradition.